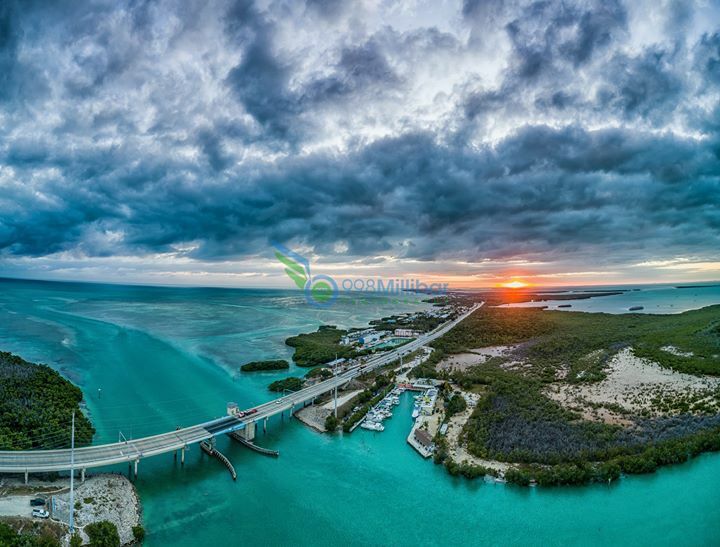 Snake Creek Bridge is a bascule bridge in the village of Islamorada in the Florida Keys. The single-leaf bascule bridge carries the Overseas Highway (U.S. 1) over Snake Creek, connecting Plantation Key and Windley Key. It is located near mile marker 86. The bridge was completed in 1981 when a number of new bridges were being built to modernize the Overseas Highway. It is the third bridge that has existed at this location. The first bridge, which carried the Overseas Railroad, was built in the early 1900s. A second bridge built in the 1920s next to the railroad bridge carried the first Overseas Highway (State Road 4A), though the highway would later be shifted to railroad bridge in the 1940s, which was retrofitted for automobile use.